Natural hair growth is accomplished by changing damaged hair follicles. As scalp cells deteriorate, they become dry and shrink. Such shrunken hair follicles can no longer grow strands of hair. A severe knee injury is always disastrous. One can either wait months for the knee to heal without any real results or it is often recommended by a surgeon to get knee surgery. 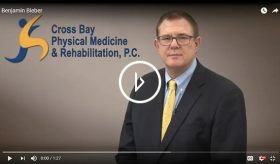 Of course, a surgeon is going to recommend surgery because this is their job but as a non-surgical specialist, I am here to tell your there are ways to correct your knee injury non-surgically, without going under the knife, and without spending many months in painful rehabilitation. The truth is that millions of people loose much of their hair each year and this process of hair loss and hair thinning continues well into old age. Thankfully, the power of ACell + PRP natural hair treatment corrects the core root of this problem, which is damaged and dying hair follicles. Hair Regrowth Therapy is becoming extremely popular because it fixes the cause of hair loss and does not just cover up the symptoms like many other hair treatments. With Cellular Therapy and the combination of ACell and PRP Therapy, hair follicles themselves are repaired and therefore, able to again produce new hair growth.